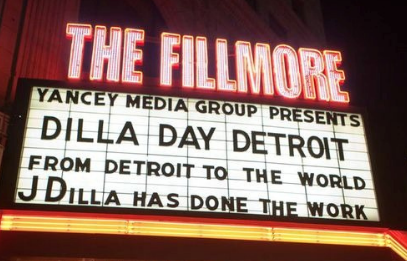 The 2nd Annual “Dilla Day Detroit” in Detroit, Michigan – the official tribute concert now put on by Yancey Media Group (YMG), and The J Dilla Foundation inhis hometown each year – celebrating the life and legacy of super producer JAMES YANCEY aka “J DILLA,” was a nearly sold-out success! “Dilla Day Detroit” is a very special musical experience designed to honor and preserve J DILLA’s legacy as wellas raise funds for the J Dilla Foundation through intimate sponsorships. The event this year was hosted by Grap Luva & Yolanda “Yo Yo” Whitaker and featured specialguest performances from Talib Kweli, Royce Da 5’9”, Miguel Atwood-Ferguson, Frank-n-Dank & Illa J, The B. Williams Experiment, Clear Soul Forces, J.Rocc, DJ Spinna, DJ Sicari and DJ House Shoes. Over two thousand fans attended this year’s concert, not just from the metro Detroit area, but from cities such as New York, Los Angeles and Atlanta. The Dilla Day Detroit concert was followed the next day with the official “Dilla Youth Day” where multiple beat-making, songwriting, DJ’ing and other multi-media music production workshops were offered at the local non-profit community center and hip hop art space, 5e Gallery. 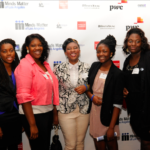 Title sponsor, Vitamin Water and support partner, Akomplice Clothing both contributed to “Dilla Day Detroit” in order to help make the 2013 edition aremarkable occasion. Along with support sponsorship from Akomplice Clothing came the concept of creating an economic business engine by way of a limitededition T-shirt and exclusive ‘45 record featuring an unreleased instrumental from J DILLA himself, guest-starring his younger brother Illa J, curated by J DILLA’s longtime friend and colleague Frank Nitt, plus a special guest artist to be announced. The proceeds from the sales of this limited edition Akomplice x YMG merchandise will be donated to the J Dilla Foundation for the purchase of instruments and/or instructor fees to aid in youth music education programs. The exclusive merchandise will be available later this year. 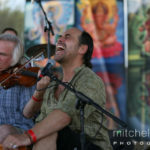 Previous Post Shakti Fest in the Magical Desert of Joshua Tree, May 17 - 19, 2013 | $50 off any Event!